Home > University Faculty > Monna Arvinen-Barrow, PhD, CPsychol AFBPsS, UPV Sert. Dr. Monna Arvinen-Barrow joined the University of Wisconsin-Milwaukee, USA as an Assistant Professor in 2012. Originally from Finland, she earned her educational qualifications in the United Kingdom, where she also worked as a as a Senior Lecturer in Sport and Exercise Psychology at the University of Northampton and as an Associate Lecturer for the Open University. She has also taught psychology of sport injury courses as Visiting Academic Scholar at University of Jyvaskyla, Finland, and University of Leipzig, Germany. 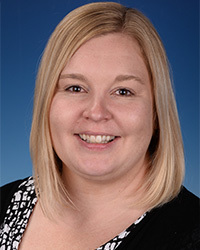 She currently teaches courses in sport and exercise psychology, psychology of injury, and research methods to undergraduate and graduate students in Athletic Training, Kinesiology, Physical Therapy, and Sport Psychology. Dr. Arvinen-Barrow is a Chartered Psychologist (CPsychol) and an Associate Fellow (AFBPsS) of the British Psychological Society. She is also a Finnish Psychological Association certified Sport and Exercise Psychology Professional (UPV sert. ), and an elected expert member of the Finnish Sport Psychology Association. She is also a professional member of American Psychological Association, and its division 47, and Association for Applied Sport Psychology (AASP), and received the 2016 Dorothy V. Harris Award from AASP. Dr. Arvinen-Barrow has a specialist interest and expertise in psychosocial aspects of sport injury occurrence, rehabilitation, recovery, and return to sport process. She has co-edited a book entitled “psychology of sport injury and rehabilitation”, published 11 book chapters, 25 peer reviewed journal articles and several other publications, most of which are related to psychology of sport injuries. She has also been part of over 70 conference presentations, a number of symposia presentations and delivered several invited lectures and keynote addresses, both in English and in Finnish. She also has sport psychology consulting experience working with club, collegiate, and international level athletes in Baseball, Basketball, Figure Skating, Swimming, Soccer, Tennis, Track and Field, and Volleyball. Her own sporting background comes from figure- and synchronized skating where she has also been working as a full-time professional coach in Finland for several years.